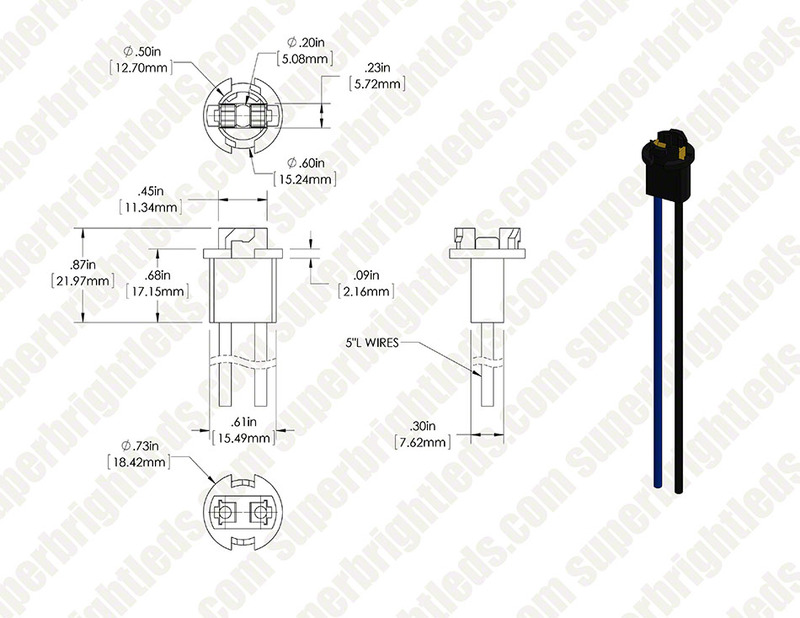 T3-1/4 Replacement sockets accept all miniature wedge base 194, 168, and 921 bulbs. 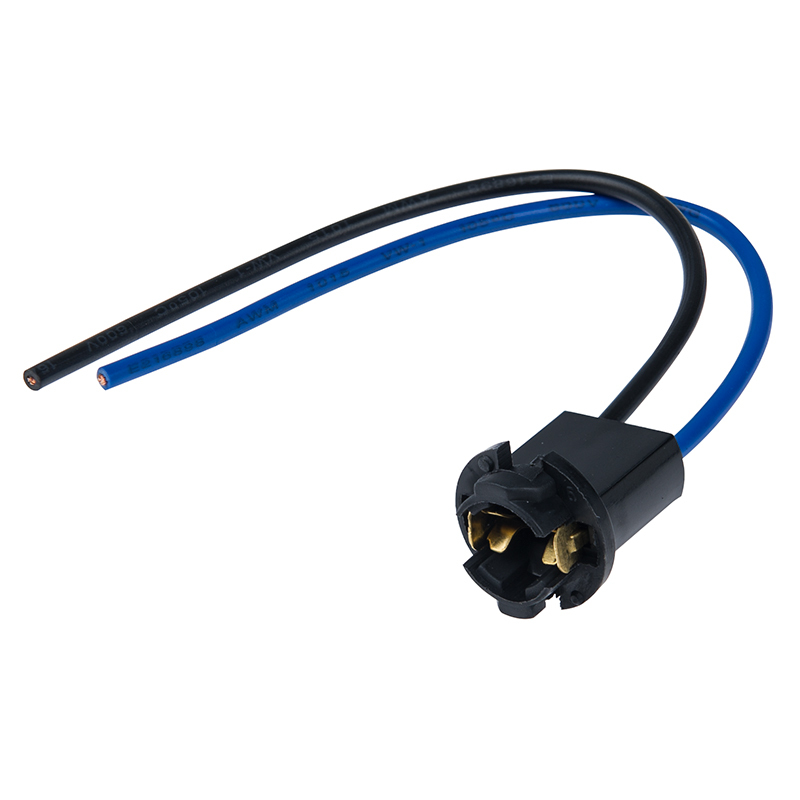 Socket has 5” power wires and is designed for a twist-lock instrument cluster base. Easy installation in your dashboard instrument panel. Price per socket. I am using these to retrofit some old landscape light to use LEDs and easy fix. I needed some lampholders to repair my old Malibu landscape lighting fixtures. These were just what I needed. 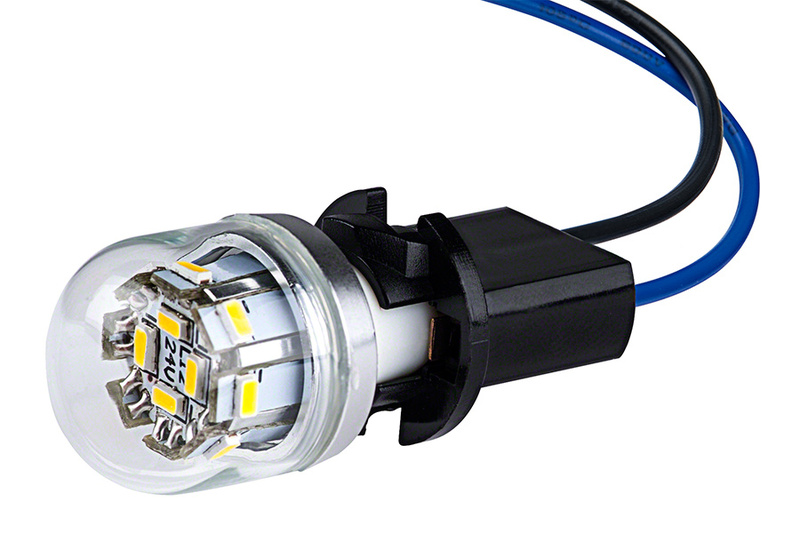 I couldn't install the Quad LED reverse lights in my girlfriend's 2008 escape without these! They do however have to be extended with spare wire to reach the existing harness, to piggy back off of. Just make sure you get the positive and negative leads correct. Youtube will have all the 'how to' on this, very easy install!...thanks 'superbrightleds.com'!!! Excellent product,I used 20 of them to rebuild outdoor hanging lights. I had a connector that would accept a light, maybe dirt inside. It was very easy to remove the old connector and replace it with this one because the wires were the same length.